Started with the core functional areas of computer sales and maintenance, today, the company is a well-known name in and Software Development, System Integration, e-Governance Services & Turnkey IT Projects comprehensively accomplishes its clients’ overall IT needs. Silver Touch has worked with global brand leaders such as SAP, Oracle, Microsoft and IBM to provide efficient IT solution and integration services. Along with that, it also provides offshore development centre, e-Commerce solutions, application development and migration and enterprise mobility services at competitive pricing. “What makes Silver Touch Technologies Ltd stand out is it’s 500+ highly experienced talent pool of IT professionals with global exposure; who are working round the clock to make client’s dream become a reality”. Silver Touch assists clients through its unique approach and best practices of providing SAP Business One solutions, Cloud Computing services, and IoT solutions. It is a one-stop solution provider for all your SAP needs with in-depth expertise in their field. The company has served clients of more than 15 industry verticals such as Sales, Financial, Healthcare, Pharmaceuticals, Manufacturing, Textile, Legal, Government, Engineering, Utility, Retail, and others. Having an expert team in SAP; with global experience in planning and execution, the company has carried out 100+ successful SAP implementations in India and Abroad. 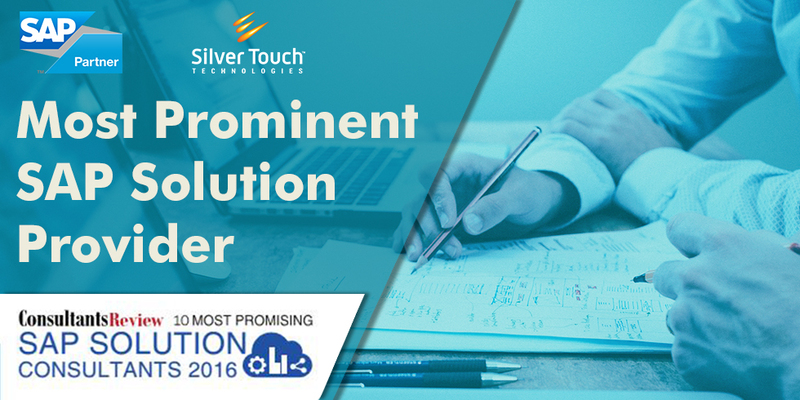 What makes Silver Touch Technologies Ltd stand out are its 500+ highly experienced talent pool of IT professionals with global exposure; who are working round the clock to make client’s dream become a reality. They are headquartered in Ahmedabad and have offices in Mumbai & New Delhi; with Global Offices in USA & UK, to ensure that Silver Touch caters its full range of services to global markets. Although the company has come a long way since its inception, it continues to strive to become a global SAP support partner to serve SAP clients and expand its team for large scale SAP solutions called SAP ECC. “We want to cater to the west and north India focussing more on Gujarat, Maharashtra, and Delhi region. Also, we want to concentrate on the major cities as well as the industrial cluster in these states shortly,” Minesh concludes. For more information, Contact us on +44-(0)203-872-5140 or e-mail at info@silvertouchtech.co.uk today!